Need a fancy font? Check out this inspiring list of premium resources! How do you stand out from the crowd in design? Though many are pulled to the popular minimalist trends, designers are now learning the incredible benefits of stepping out of their comfort zone. Maybe your work just needs a refresher. So try out a new font with fancy alphabet letters! Today, we bring you a phenomenal collection of 20 premium fonts to upgrade your work. Transform your designs with stylish, decorative fonts that will leave your audience in wonder. Add beautiful characters to your projects with cool letters, swashes, and decorations. No matter your personal style preferences, these premium fonts will freshen up your work for impressive results. Check out this collection of the best fancy fonts curated by Envato Market and Envato Elements. 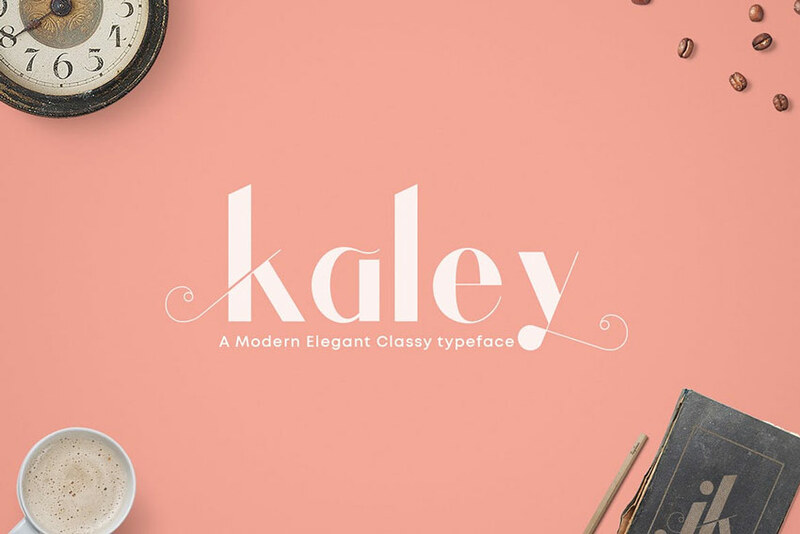 Let’s start off with this beauty, the Kaley typeface. A modern, elegant font with subtly decorative letters, this font is very classy and sophisticated. It also supports multiple languages! Create a harmonious appearance for your headlines and text using this wonderful, inviting font. Quality is an extraordinary decorative font like no other. It features a simple script design with inspiring floral decorations for the avid nature enthusiast. Launch your natural brand with a stunning font style that is sleek and sophisticated. Try it out on logos, packaging, and even creative headlines! Cultures from all over the world inspire design every day. 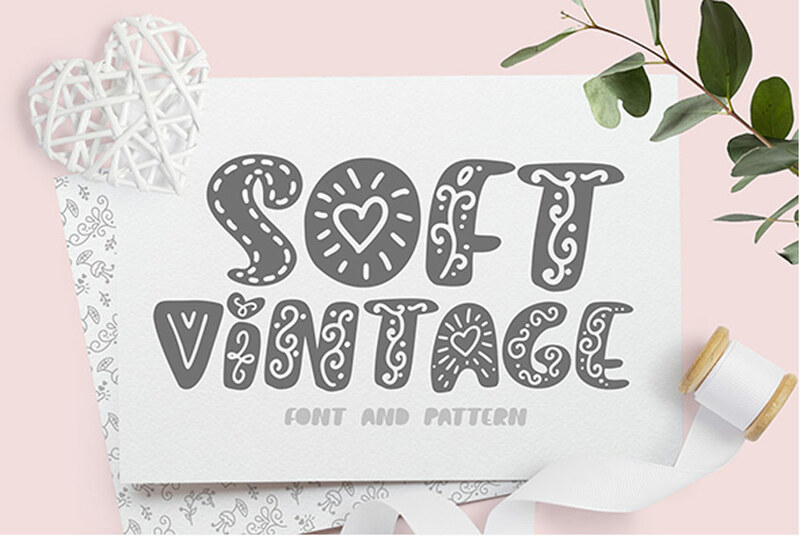 This soft vintage decor font is crafted after common Scandinavian patterns and themes. Enjoy your creative process even more by combining this font with beautiful craft projects or vintage-inspired design. Included is one regular font as well as a bold type, and they come in various formats. The Victorian era was the age of elaborate letters and fascinating decorations. 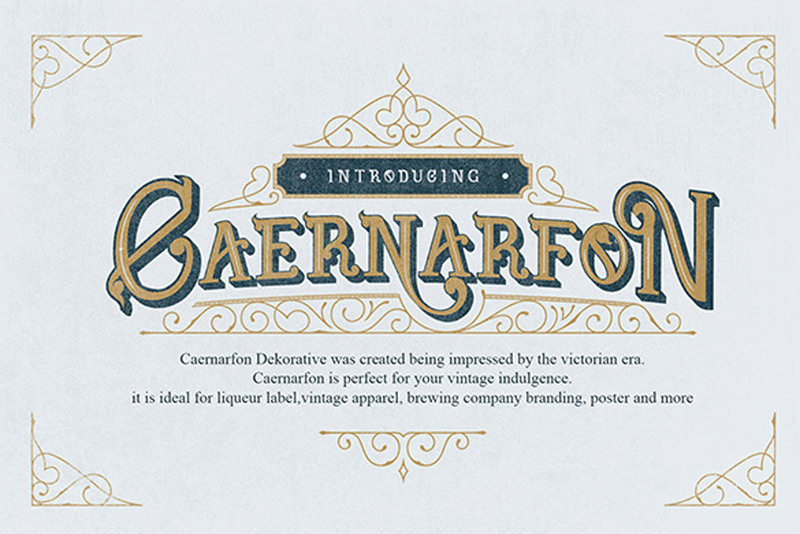 Draw inspiration from this creative era with the impeccable Caernarfon font. Created to emulate the popular styles of vintage branding, this type features a four-font system you can layer for even more impact. Our next font is another incredible design inspired by the Victorian era. 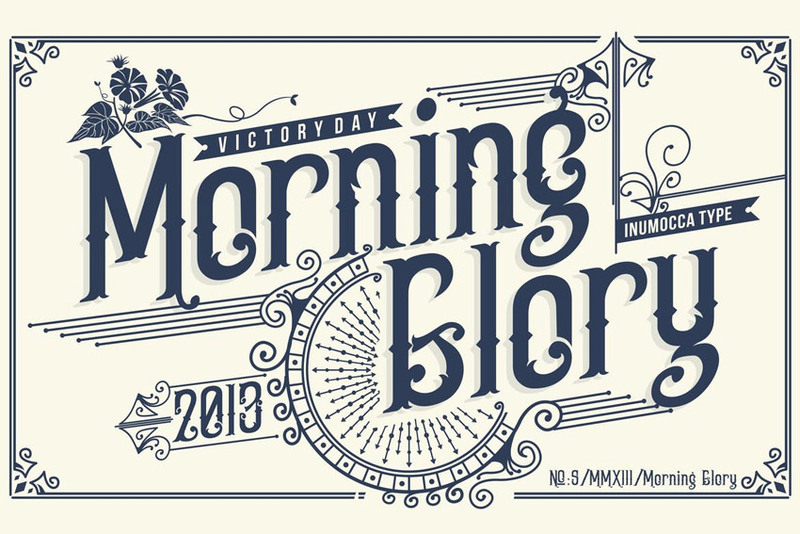 The Morning Glory typeface is a clever take on the fashion, politics, and creative branding of the past. Use it on many cool projects from clothing merchandise to vintage posters and books! 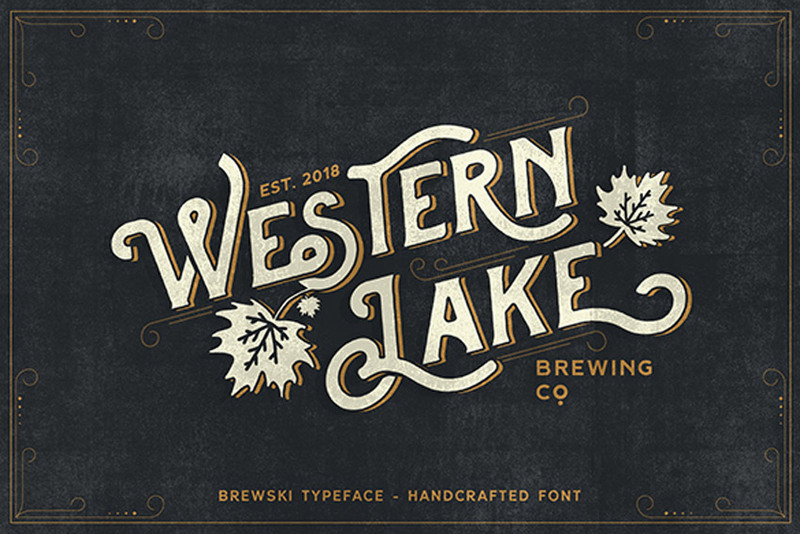 Take your vintage designs to a whole new level with the Brewski Brewery typeface. Inspired by the relaxed vibes of vintage brewery packaging, this typeface features strong, hand-drawn letters that are sure to make an impact. Enjoy a full pack of letters, numbers, and symbols in this set! Sometimes the path you need to take is the one covered in vintage decoration. The Pathways font is the perfect mix of retro design and lovely, handmade script letters. Featuring three different styles, including circular strokes, rectangular strokes, and a rough version, this font is clean and easy to use. Creating messy letters is a lot harder than it looks. That’s why the Burnts Maker font is essential for any new designer. Tag your favorite t-shirts, album covers, and festival posters with fast, hand-drawn letters. 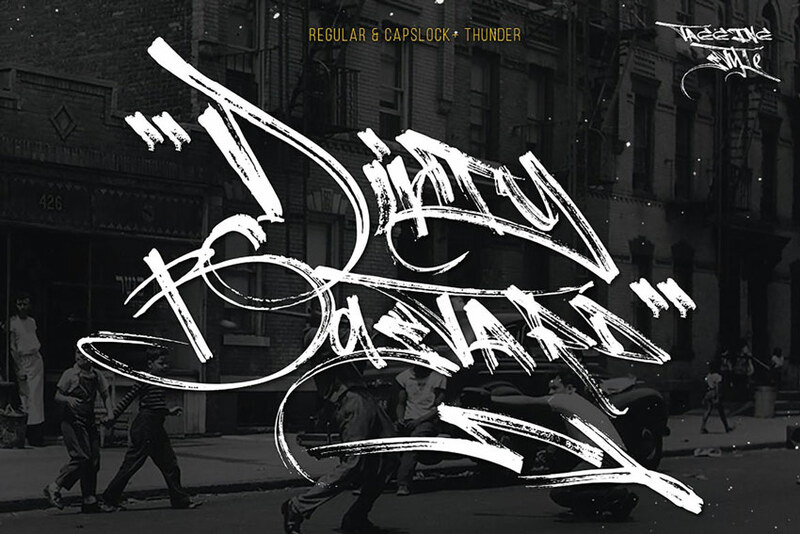 Embrace the cool style of street culture with this premium font. Designers are often inspired by famous stories to create their elaborate fonts. And this decorative typeface is no different. It draws inspiration from the eclectic vintage typefaces of the past for a full pack of eight creative fonts with fascinating details. Use it on books, posters, and more! 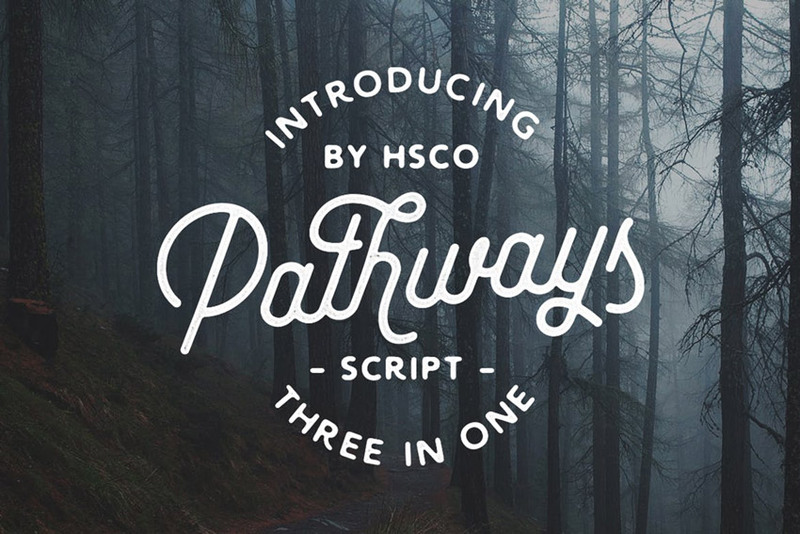 Fancy a lovely script for your latest project? 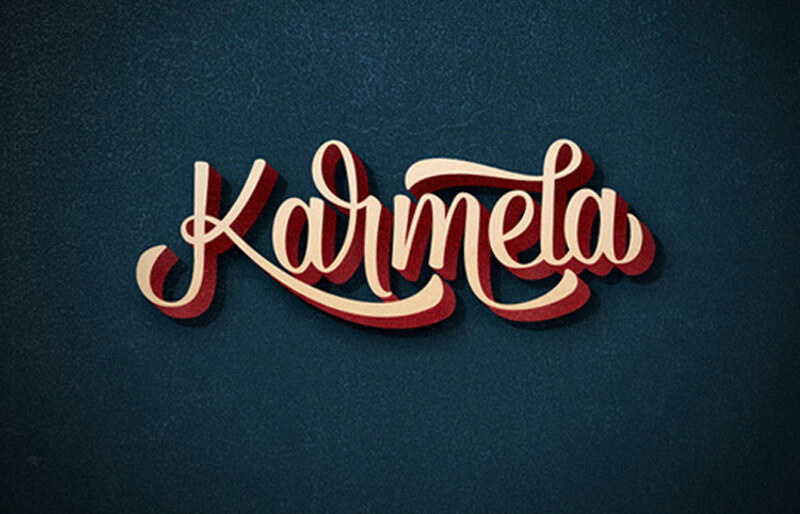 Check out the stunning Karmela script. A great font type for magazines, logos, and more, this font is inspired by the incredible handmade brush lettering of the 50s and 60s. Pair it with your favorite vintage projects for the perfect combo! 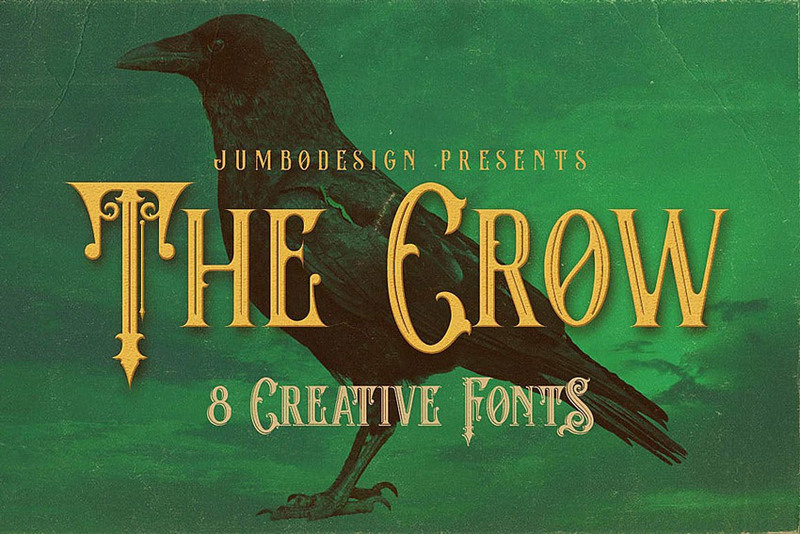 Halloween is right around the corner, so now is the time to load up on fancy spooky fonts! 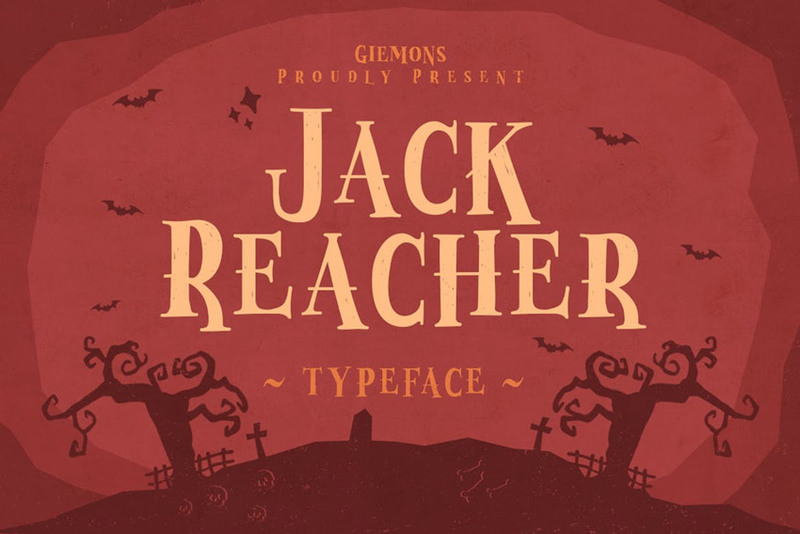 This awesome Jack Reacher typeface, for instance, is the embodiment of Halloween itself. It features tall, bold letters with sharp serif details for more flair and style. Add it to your Halloween posters for more magic! Do you love vintage design? Many decorative fonts incorporate amazing handwritten techniques just like the designs from long ago. 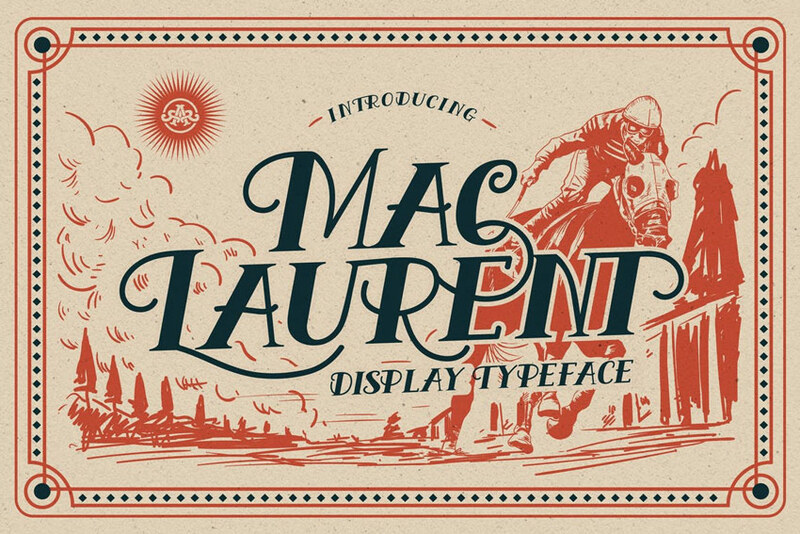 Now you can make a well-crafted logo or headline with the fascinating MacLaurent font. A set of display typefaces with upper and lowercase letters, this download also features a helpful web font. 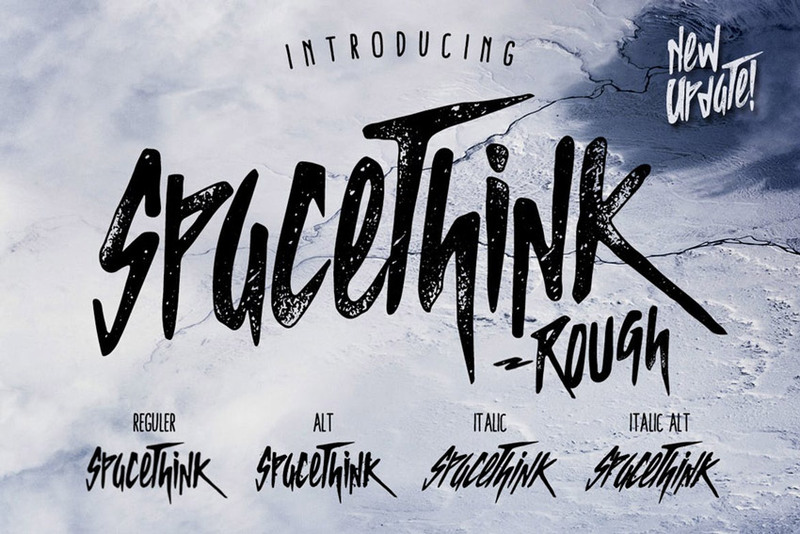 Embody the rocker spirit with the awesome Spacethink typeface. Featuring five style options to diversify your projects, this typeface pack is edgy and unique. Get the latest update to enjoy fantastic typefaces for logos, concert gigs, and album covers. 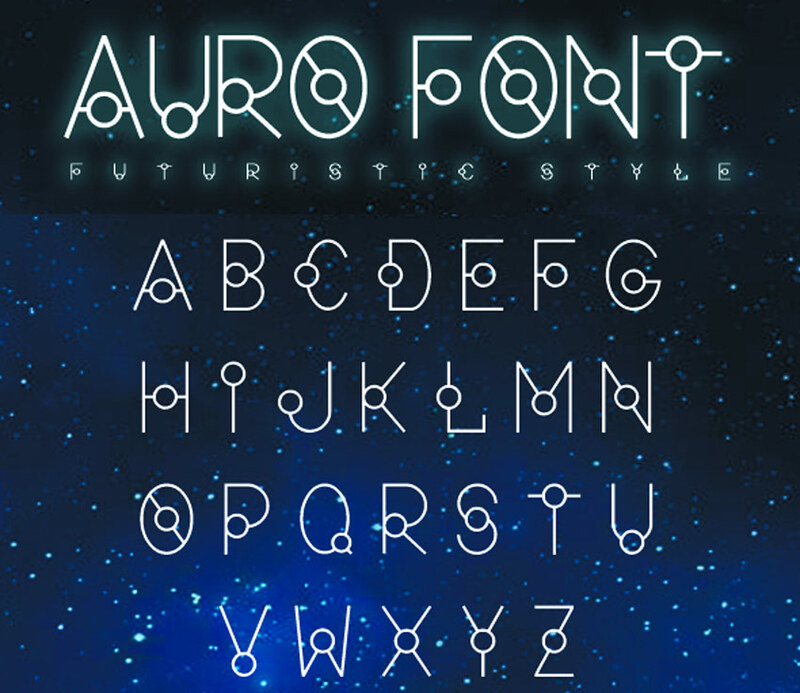 Explore the futuristic flair of space design with the stunning Auro font. This font features a unique design inspired by the galaxy and various constellations. It gives off a cool, futuristic vibe that is great for space posters, alien themes, and everything in between. Try it out with a bold, glowing effect like the example below! Geometric shapes have always been a part of impressive design. 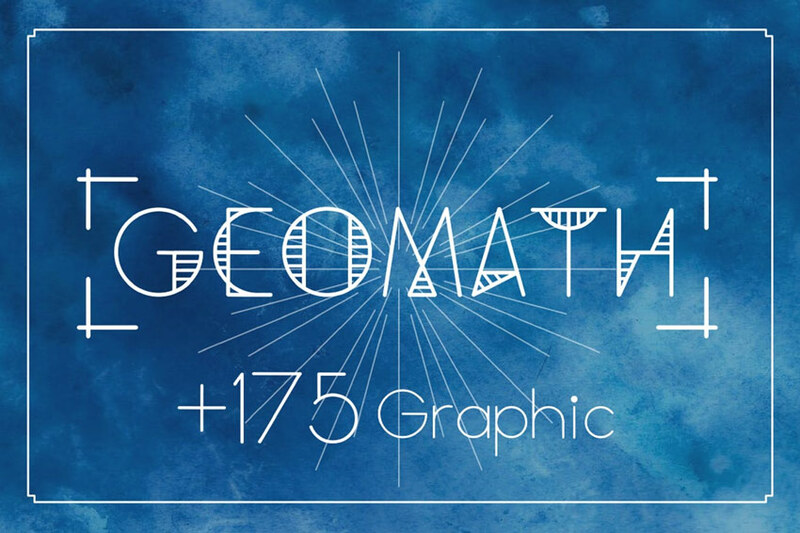 That’s why many designers use them in their typefaces, like the Geomath font. 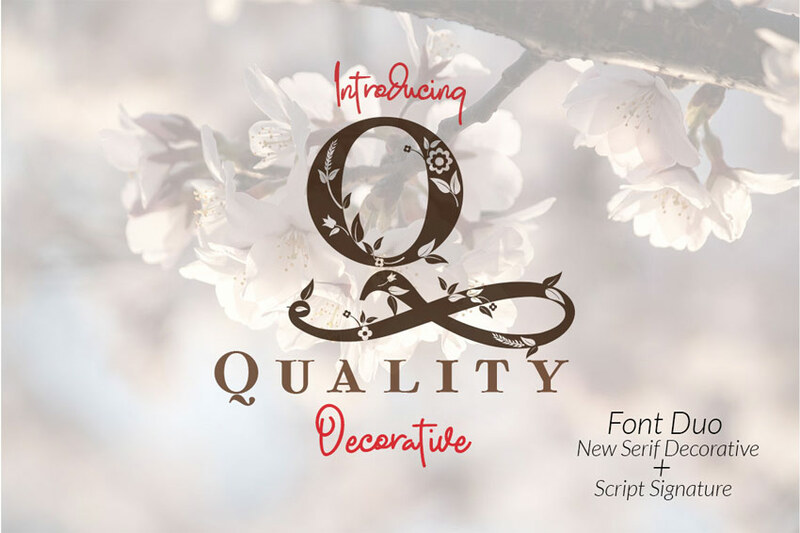 This pack features three extraordinary fonts with 175 ornaments to decorate your designs even further. Check it out! 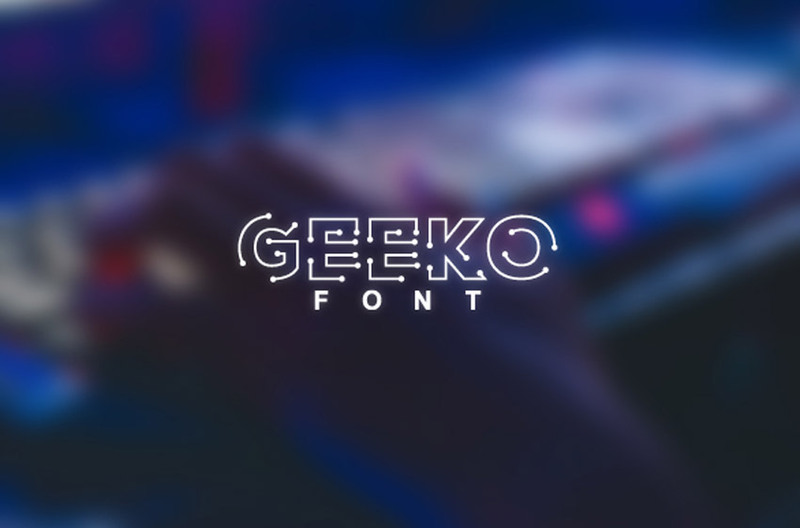 If you love the tech world as much as the next creative, then you’re sure to love the Geeko font. A creative, tech-inspired typeface, this font is influenced by motherboards and supremely minimalist design. Create a compelling logo today with just one extraordinary font! Glitch effects are usually applied to photos, but now you can use them for font types too! 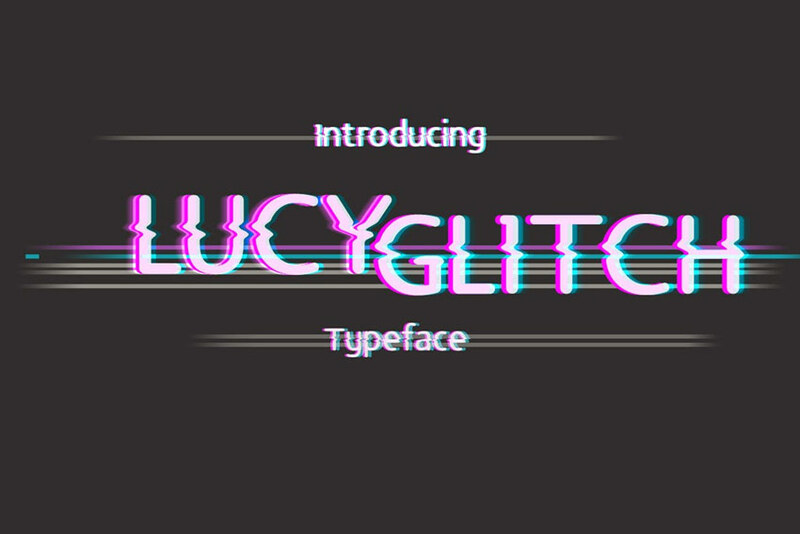 The awesome Lucy Glitch typeface pulls off the clever look of digital failure for an impactful new font. Check out the full set of letters, numbers, and symbols in this set to pair with your next project. Toughen up your brand with mighty, strong letters. 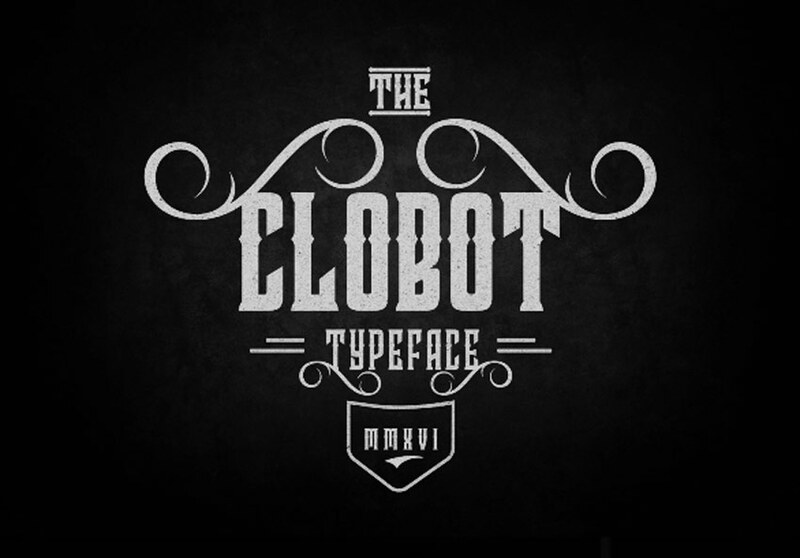 The Clobot font is stylish but firm. It features a versatile set of alternative letters and ligature glyphs to allow you to explore many font options. Best suited to posters and t-shirt designs, this typeface is one you’ll definitely want in your arsenal! 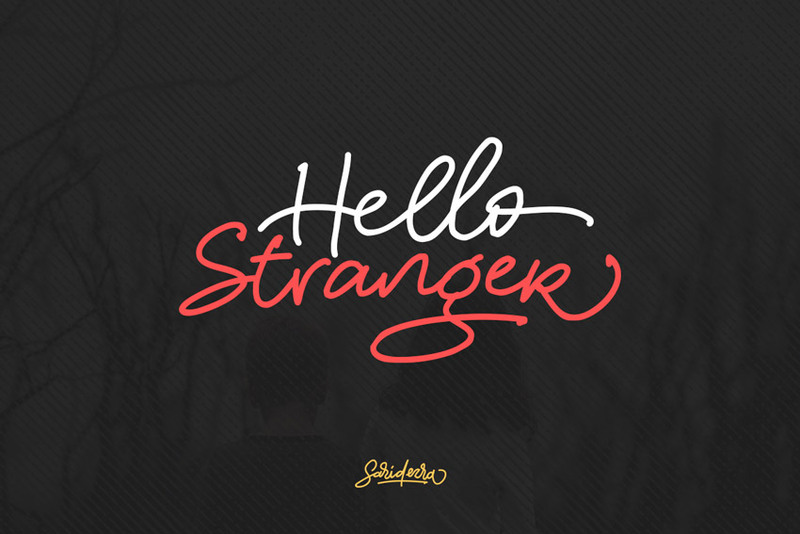 Hello stranger. Is design on your mind today? Match the perfect script font to your typography with this fancy, handwritten typeface. Featuring a natural, handmade design with casually written letters, this font supports many languages and formats. Give it a shot! 2018 has been the year for space design. 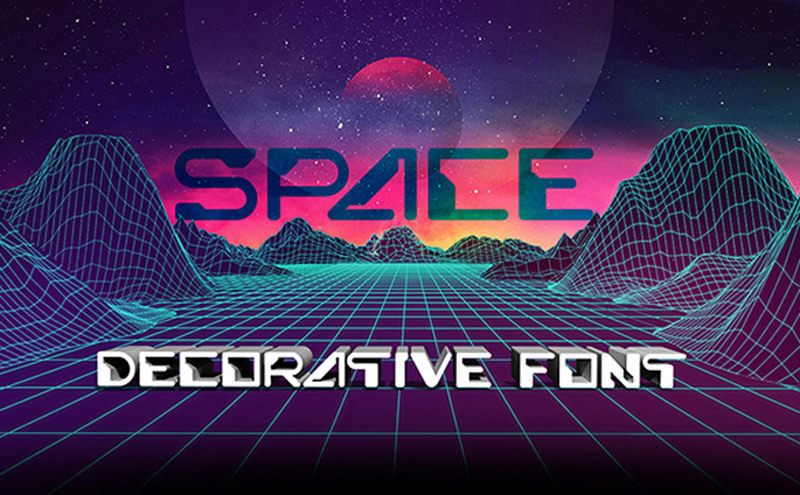 With ultraviolet as the color of the year, many designers are drawn to space-themed fonts like this futuristic, decorative type. Just plug in your name or favorite phrase to test-drive this font in seconds. Check it out!